Dental implants are a common way that many Shelby Township area residents are opting to rejuvenate their smiles. Dental implants help fill in the gaps that are left behind after tooth loss or extraction. They consist of titanium rods that are placed in the jawbone to act as artificial tooth roots. The implants can then be fitted with a dental crown, bridge, or denture to restore function and aesthetics to the smile. With dental implants, patients are able to bite, chew, and speak just as they did with their natural teeth. While not everyone is a candidate for dental implants, they are one of our most popular solutions for patients who come to us to restore missing teeth. Patients will need to have sufficient bone structure before they can be eligible for dental implants. The jawbone acts as a source of stability for the implants, which allows them to be sturdier and longer lasting solutions than traditional bridges or dentures. The dental implant process is straightforward. Once patients are deemed appropriate candidates, we will schedule their dental implant procedure. X-rays are taken first to allow the dentist to assess the optimal placement of the implants. The dentist will then surgically place the rods into the jawbone where they are left alone for several months to heal. This healing process, called osseointegration, allows the implants to fuse with the jawbone and create sound support for the restorations. Once osseointegration is complete, the crowns, bridges, or dentures can be placed on top. Losing permanent teeth can be a traumatic event for many patients. In addition to losing functionality, patients are left feeling embarrassed by the appearance of their smiles. With dental implants, patients can count on a strong and durable restoration that has proven to withstand the test of time. If you would like to learn more about the dental implant process, or to find out if you are a candidate, call us today at 248-651-6810 to schedule your initial consultation. 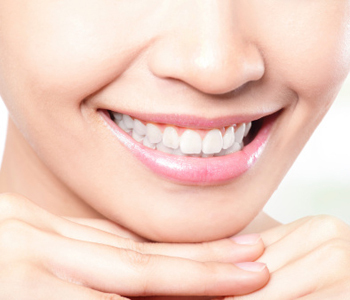 We are currently accepting new patients for all of our general, restorative, and cosmetic dentistry services.